« Mr. Blue Sky …..
On more than 60 occasions Richie McCaw has required stitches in his eyebrows. He’s also broken his cheekbones over a dozen times. McCaw played through the last three matches of a tournament with a broken foot and numerous painkilling injections. The tournament was the 2011 World Cup, which he lifted as captain of the New Zealand Rugby team, aka the All Blacks. 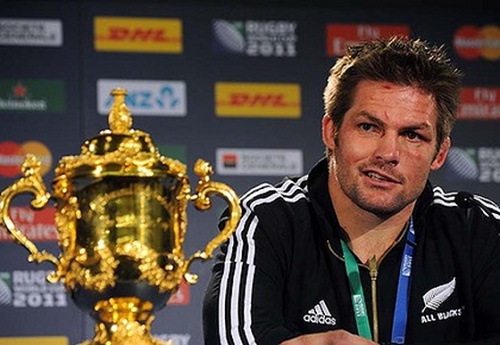 Last night, McCaw led the All Blacks to victory in the 2015 World Cup. McCaw is unquestionably one of the world’s greatest ever rugby players and has won 131 of the 148 games he has played for his country. He thinks that having stitches is an occupational hazard of playing open side flanker. A position which requires him to scavenge for the ball and put his body on the line. In McCaw’s view pain is temporary, winning is permanent. Dave Brailsford, Performance Director of the all conquering British Olympic Cycling team introduced lactic tolerance training for his cyclists. This consists of the cyclists cycling flat out until their legs feel as if they are on fire, and then the real training starts to see how long they can keep cycling. Yes these are extreme examples of going the extra mile, but whatever you want to achieve, there’s a price to pay. This may mean watching less television, working weekends, or sacrificing your nights out. It means taking a risk and stepping outside your comfort zone. There’s a price to pay if you want to achieve more, and there’s a price to pay for leaving things as they are. Whatever you decide, just don’t be upset by the results you didn’t get, with the work you didn’t do. Ps. There are no queues on the extra mile. deduce – the juice from de lemon. Himalayas – a religious song sung by hens. flabbergasted – reaction to seeing oneself naked in a mirror. petroleum – floor covering for dog and cat owners. politician – one who shakes your hand before elections and your confidence after. hunch – a gut feeling you get during lunch. lymph – to walk with a lisp. teenager – one whose hang-ups do not include clothes. volunteer – take on work that makes no cents. 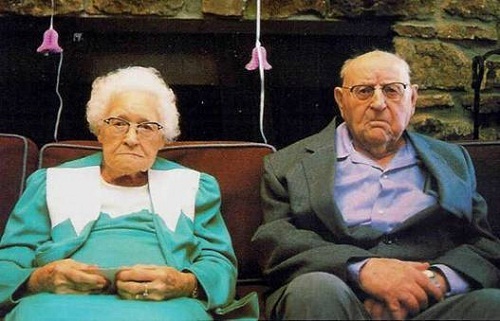 And finally thanks to Paul for sharing this touching love story ….. This 80 year old woman was arrested for shop lifting. When she went before the judge in Cincinnati he asked her, “What did you steal?" She replied, “A can of peaches." The judge then asked her why she had stolen the can of peaches. She replied that she was hungry. The judge said, “Then I will give you 6 days in jail." Before the judge could conclude the trial, the woman’s husband spoke up and asked the judge if he could say something. The judge said, “What is it?" The husband said, “She also stole a can of peas." This entry was posted by admin on November 1, 2015 at 10:13 am, and is filled under Sunil Bali, The Art of Awesome Living, The Book of Awesome Humour. Follow any responses to this post through RSS 2.0. Both comments and pings are currently closed.